upajuhvati = do ahuti ( worshipping ). 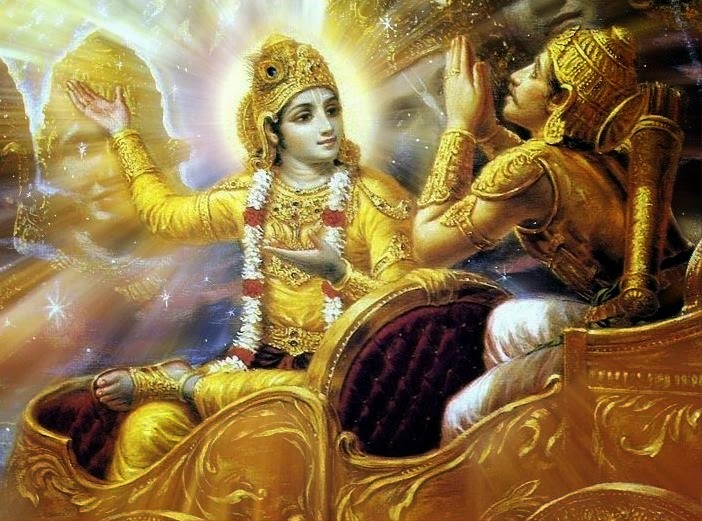 The ability to see the Brahman or spiritual substratum pervading all existence everywhere is factually a potent form of yagna or offerings of worship as propitiation to the Supreme Lord Krishnas. This type of yagna is superior to all other yagnas. In order to show its superiority; the various sacrifices which are methods to attain this knowledge are given in descending order of importance in the next eight verses. Those yagnas in which demi-gods like Indra and Varuna are worshipped are called Daiva- Yagnas. The word eva meaning only shows that Indra and the demi-gods are not viewed as being Brahman. The karma yogis or those performing actions for specific rewards worship the demigods fastidiously. The jnana yogis or those cultivating Vedic knowledge offer the sacrifice back to the Brahman by means of that very sacrifice and dissolve all actions into the Brahman by the sacrifice of spiritual intelligence.